You are in the skyway between Gaviidae(on the left) and City Center(on the right). 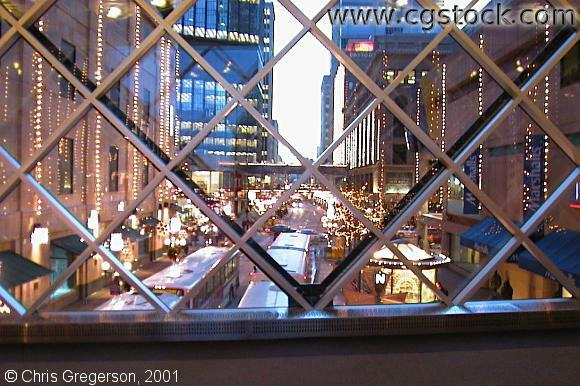 You're looking southwest down the Nicollet Mall, which has Christmas lights decorating it. Several buses are passing under the skyway. The IDS is on the left side of the next block down.